2017 Tom Ford Sunglasses at Sunglasses Direct. The new summer launch of Tom Ford sunglasses this year have brought us a selection of round eye plastic sunglasses and new ladies plastics with flat lenses and metal double bridges. Alex FT0541 is the best style for 2017, with its rectangle plastic design, gold bridge style and metal sides, this Tom Ford model is the advertised sunglasses in all top style magazines and fashion posters in Time Square. The magazine adverts all have this years theme which is a pink flower. Also other advertised Tom Ford sunglasses for 2017 Sean FT0536 which is a aviator design with flat mirror lenses and gold frame. This cutting edge aviator frame can suit both men and women. Round eye plastic sunglasses are very much the sytle of 2017. Palmer FT0522 is a slightly thicker acetate design with the iconic T bars on the front of the sunglasses. If you prefer a finer design then the Tom Ford Andrea is a modern acetate design but not as chunky. 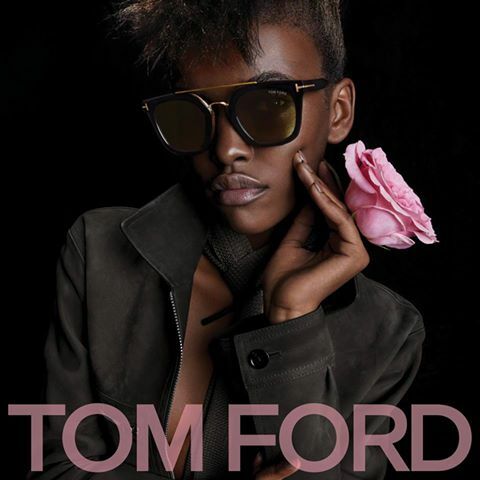 All new Tom Ford sunglasses can be viewed at Sunglasses-Direct at up to 30% off high street shop prices. Large stocks and free UK delivery. If you can’t find a Tom Ford sunglasses model that is not on our site call our Nottingham sunglasses centre on 01159582888 for help. 2017 Tiffany sunglasses have been launched by Italian eyewear giant Luxottica and new styles include round eye metal sunglasses Tiffany 3053 cat eyes upswept platics sunglasses Tiffany 4119 and more of the iconic duck egg blue Tiffany is known for Tiffany 4117 New design details this year is the double Tiffany heart making up the side hinge, with the two heart locking together when the side closes together. Tiffany which is one of the largest Jewellery brands in the world starting out in New York in 1853 when Charles Tiffany set his new company Tiffany and Company. Now producing some of the finest jewellery in the world and prices going over a million or so. Tiffany and Co sunglasses follow the Jewellery theme, but each season following the newest designs seen in their seasons Jewellery. Duck egg blue is always a common theme in Tiffany design, with every model available in this colour way. Tiffany sunglasses all include a duck egg blue shiny case (hard in most cases) a soft microfibre bag to carry the sunglasses when a large case is not convenient and a Tiffany box and warranty card.